Pi Supply, which has produced a variety of Raspberry Pi add-on boards including the Papirus E-Paper display and Flick HATgesture detector, has now returned to Kickstarter to launch a series of IoT LoRa Boards that work with the Pi. 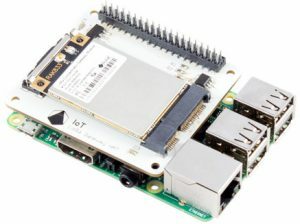 The offerings include an IoT LoRa Gateway HAT board starting at an early bird price of 120 UK Pounds ($157) and a LoRa Node pHAT node board with a 25 Pound ($33) early bird price. Both boards support any 40-pin Raspberry Pi, and they may also work with other SBCs with Pi-compatible 40-pin connectors, including the tested Asus Tinker Board, Asus Tinker Board S, and Odroid-C2. Pi Supply is also selling a Micro:bit LoRa Node board that works with the open source, Cortex-M0 based BBC Micro:bit board. Packages are available that include both the gateway and a node of your choic. There are also “To Go Kits” that include an SBC. For the 189 Pound ($248) Gateway To Go Kit, you get a full-sized Raspberry Pi of your choice up to a Raspberry Pi Model 3B+ along with a case, power supplies, SD cards and other accessories. The Node To Go Kit includes either a Micro:bit board, or for the pHAT model, a Pi Zero or Pi Zero W, as well as power supplies and accessories. There are also a variety of volume discount bundles. LoRa is a long-range, low-bandwidth wireless standard that can work in peer-to-peer fashion between low-cost, low-power LoRa nodes. 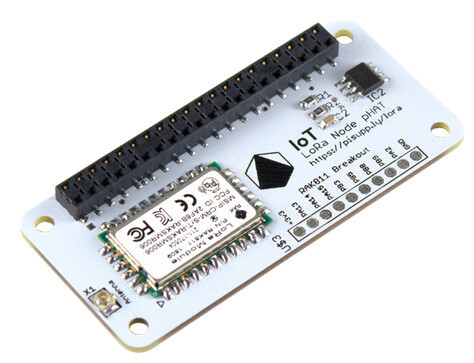 LoRa nodes can also connect to the Internet via a LoRaWAN gateway such as a Raspberry Pi with the IoT LoRa Gateway HAT. The Pi Supply boards can be purchased with support for the 868MHz European standard that most LoRaWAN networks use, or else the 915MHz U.S. standard. LoRa/LoRaWAN technology is finding increasing use in IoT networks for irrigation systems, smart metering, smart cities, and home and building automation. The technology lets you connect to networks that run on top of LoRaWAN, including The Things Network. Other LoRa add-ons for the Raspberry Pi include Sparkfun’s LoRa Raspberry Pi Gateway, Dragino’s LoRa GPS HAT for Raspberry Pi, and the Pi Conduit and Pi Conduit PoE boards from Gumstix. In addition, Lime Microsystems offers a Grove Starter Kit for the LimeSDR Mini that is designed to connect the Pi with the LoRA-ready LimeSDR board. The IoT LoRa Gateway HAT is built around the RAKWireless RAK833 mini-PCIe module. 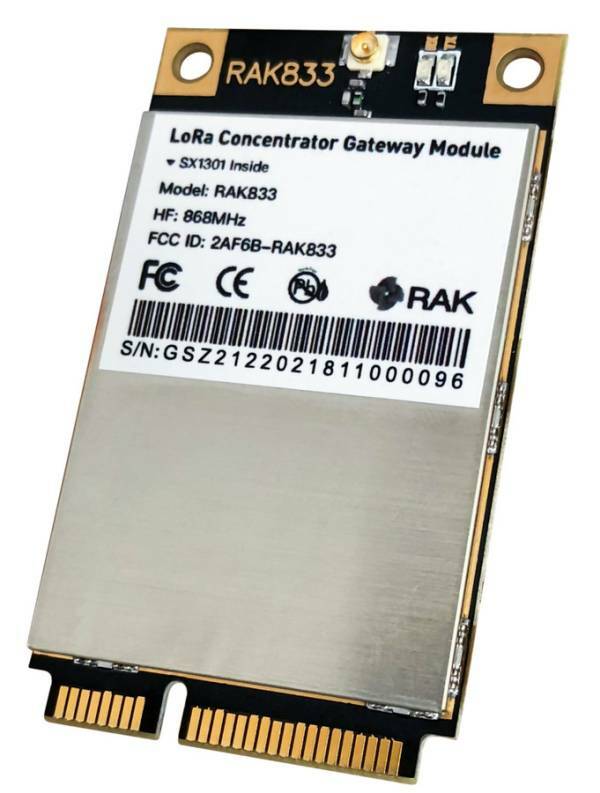 This LoRa gateway concentrator is in turn driven by a Semtech SX1301 LoRa baseband chip, which is also used on Arduino’s LoRa Gateway Kit shield. 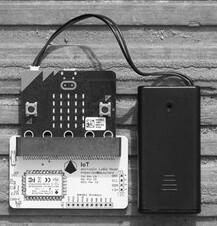 The RAK833 module enables the IoT LoRa Gateway HAT to listen on 8x channels simultaneously. The board offers relatively low power consumption — it will draw about 500mA from the Raspberry Pi’s 5V Rail. 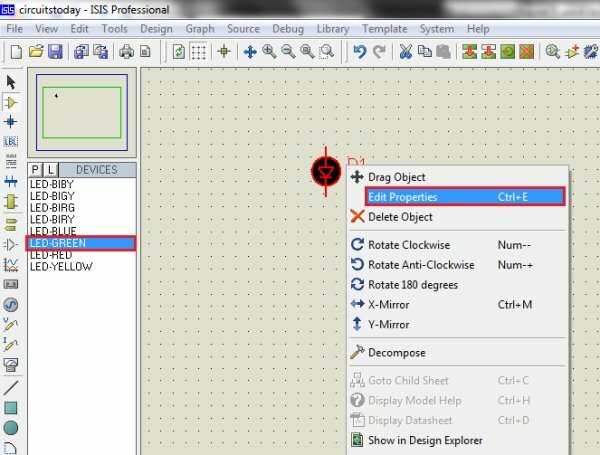 The board is also touted for its fast setup, which does not require soldering or a software compile. 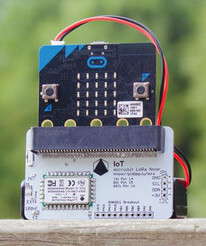 The LoRa Node pHAT and micro:bit LoRa Node boards both use the RAKWireless RAK811 LoRa radio module “with full LoRaWAN Stack embedded.” The LoRa Node pHAT, which adopts the Raspberry Pi Zero sized pHAT (partial HAT) form factor, communicates with the Raspberry Pi over UART using only 3x GPIO pins. Both the Pi and Micro:bit compatible nodes provide 8x pins that can be controlled via UART, including two for analog sensors. A u.FL connector and onboard antenna are also available. Both node boards consume less than 50mA maximum during transmission and are said to typically run at 30mA at 3.3V peak during operation and less than 1mA during sleep. The Kickstarter FAQ indicates the company is working on an Arduino compatible IoT LoRa Node Shield, which has the same 25 Pound early bird and 29 Pound standard pricing as the other node boards. This is listed as an option in the shopping options, but is not detailed in the main text, so it’s unclear if this will share the Mar. 2019 ship date of the other boards. Assuming the campaign reaches its $32K goal by Nov. 6 (it’s halfway there), a BeagleBone cape version is also under consideration. In the risk and challenges section, Pi Supply notes that it has learned from the problems it had with its much delayed PiJuice HAT uninterruptible power supply add on board for the Raspberry Pi, which is now shipping for 48 Pounds. “We are looking to build on the lessons learnt there to do things better,” says Pi Supply. Early bird Kickstarter prices are 120 UK Pounds ($157) for theIoT LoRa Gateway HAT board (129 Pounds standard price) and 25 Pounds ($33) for the LoRa Node pHAT and Micro:bit LoRa Node boards (29 Pounds standard). More information may be found at Pi Supply’s IoT LoRa Boards Kickstarter page and eventually on the Pi Supply website.